There is a long long list of threats climate change pose on the world and Nigeria as a country is not exempted from the seeming challenges . Read a paper presented by Babangida Ruma a delegate of Nigeria at the World Youth Foundation (WYF), during a 4-day workshop on climate change. The appointment of Amina j. Mohammed as Minister of Environment in Nigeria is extremely awesome; Ms Amina has been working in the field of development for more than 30 years both in the public sector and the private sector. Prior to her current appointment, she was the CEO and founder of the Think Tank Center for Development Policy Solutions. Previously, she worked as senior adviser to the President of Nigeria on Millennium Development Goals for six years. In this position, she was in charge of designing and developing government projects to reduce poverty around the country. She worked in the United Nations Millennium Project as a coordinator of the Task Force on Gender and Education. Before her appointment as Nigerian minister of environment Ms Amina is the United Nations Secretary-General’s special Advisor on sustainable development (SDGs). I am sure with her national and international experience she will work collectively with the federal ministry of Agriculture & water resources to promote a Sustainable Agriculture and Water Management Practices to educate farmers about the innovative techniques and technologies available to contribute in the climate change adaptation by sharing information with local farmers through outreach programs. More Efforts are needed to reduce poverty and hunger by raising on- and non-farm incomes and diversifying livelihoods can be hindered by emerging forms of employment relationships based on more flexible and casual forms of work. By ensuring increase in the value chains associated with agro-business, to expansion of bio-fuel production and its uncertain impact on employment and the use of land in Nigeria. I don’t need to go so deep I believe in Ms Amina her appointment as minister is the promise destination of Nigerians impact she knows what’s development is all about. Climate is usually defined as the “average weather” in a place. It includes patterns of temperature, precipitation (rain or snow), humidity, wind and seasons. Climate patterns play a fundamental role in shaping natural ecosystems, and the human economies and cultures that depend on them. But the climate we’ve come to expect is not what it used to be, because the past is no longer a reliable predictor of the future. Our climate is rapidly changing with disruptive impacts, and that change is progressing faster than any seen in the last 2,000 years. Rising levels of carbon dioxide and other heat-trapping gases in the atmosphere have warmed the Earth and are causing wide-ranging impacts, including rising sea levels; melting snow and ice, more extreme heat events, fires and drought, and more extreme storms, rainfall and floods. Scientists project that these trends will continue and in some cases accelerate, posing significant risks to human health, our forests, agriculture, freshwater supplies, coastlines, and other natural resources. Every year, natural disasters from climate related hazards cause substantial loss of life, produce economic damage, and reverse gains from past economic and social development. Hydro meteorological hazards, such as floods, storms, and droughts, accounted for more than three-quarters of all natural disasters. In the same period, these climate-related disasters were responsible for 98 percent of the cumulative number of people affected by natural disasters and 77 percent of total reported economic damage. Why climate change is so important – Beyond the extreme environmental ramifications, climate change is set to impact the physical, biological and ecological life support systems on which human health depends.Unfortunately many people still believe that it is a wider scale issue and that the government should be doing more and that it cannot be affected by singular actions. This kind of thinking really needs to change; it is our responsibility to make changes in your everyday life to affect change, if you don’t do it how can you expect others? I felt compelled to ask our social media community what they thought and to respond about climate change. I really appreciate all of the thoughtful responses that everyone shared with me. It’s important to have an open dialogue about this topic, as the movement to mitigate climate change is a collective effort. And giving children the tools to understand how what they do impacts on everything around them is key. If we can start to affect change now by explaining how burning gas and oil may have huge implications in the years to come and how harnessing natural sources such as water, wind or sunlight is not only going to save our planet but it is more cost effective in the long run. Although tackling climate change can seem like a pretty daunting task, it’s clear that people really want to do their part, big or small. Which is awesome that’s what this is all about, shared responsibility and collective action. We can save the planet if we all work together and decide that this matters. It has been suggested that the current generation of 18-to-25-year-olds is likely to be the best informed about climate change of any in history, one survey found that 62% of 18-24 year-olds felt they either knew a great deal or fair amount about climate change the majority of surveys indicated lower levels of knowledge. When asked by a BSA survey in 2013 “how much would you say you know about climate change”, 52% of 18-24 year-olds said they knew either “a little” or “hardly anything”, a figure comparable to other age groups. When asked, “how many degrees Celsius do you think global temperatures need to rise for climate change to become dangerous?” only 7% of 18-34s sampled chose the ‘correct’ answer of 2°C. Young people –The key to solving climate change. 1: Increase Climate Change Awareness through Environmental Education To build capacity of youth by facilitating the advancement of knowledge and experience sharing on climate change, its impacts, adaptation and mitigation measures through workshops, campaigns and community based projects by involving local communities and educational institutions. To increase ‘climate literacy’ among the youth by effectively disseminating information about the impacts of climate change and the successful stories of climate change adaptation and mitigation (or combating climate change impacts). -To promote awareness and highlight the importance of the marine ecosystems among the local coastal communities and how climate change can adversely affect them by providing awareness raising workshops, seminars and campaign programs. Component 2: Conservation of Marine Ecosystem. To support the protection and conservation of marine ecosystem through youth and coastal communities’ participation in afforestation activities including mangrove and coral transplantation. Component 3: Promotion of Sustainable Agriculture and Water Management Practices To educate farmers about the innovative techniques and technologies available to contribute in the climate change adaptation (by sharing information with local farmers through outreach programs). Component 4: Assessment of Vulnerability and Capacity of Communities. To help the government/communities in capacity and vulnerability assessment (CVA) related to climate change and disasters with the coordination and cooperation with local government units, trained volunteers, Non-government organizations and experts of various fields. Engage with business leaders, entrepreneurs and encouraging leadership on climate change by encouraging: Promoting the integration of CSR (corporate social responsibility) into their business model. 1. Raising awareness on reducing emissions from industries. 2. Promoting the use of lower-impact products and technologies. 3. Promoting a clean and pollution free ecosystem by organizing cleaning campaigns at schools/colleges/universities and public places/coastal areas etc. 4. Waste Management by promoting reducing the waste generation, reuses and recycling, set up various waste-separation bins in schools/colleges/universities/ public places etc., and promoting collection of plastics and dumping at designated places. 5. To make green jobs available to young people and advocacy campaigns on youth employment policies. 6. Stimulate action around green jobs locally, through provision, training, skill sharing and creativity. 7. Support the youth in designing, implementing and evaluating community based adaptation programs. 8. Promoting Sustainable Agriculture to youth. 9. Organize more trainings, seminars, conferences, and workshop on environmental conservation. 10. 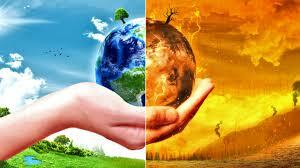 To increase young people’s knowledge and actions on Disaster Risk Reduction (DRR) and Climate Change Adaptation (CCA).